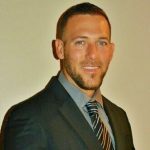 It can be a very daunting task developing an active threat response program for administrators and security directors at schools. -Called your local police department to guide you. Whether you have done one of the four actions above, a combination of the four, or you are the one that hasn’t done anything at all- I’m here to give you a little advice on how to see if your plans and preparations are up to speed. Building an active threat response program requires a lot of time, resources, and the right personnel to get it off the ground. Identify the difference between a lockdown and lockout. Inform staff, students and parents of these responses. Create documents to record drills and incidents that occur. Recommend a variety of teaching styles to include interactive lecture, practical training and scenario-based exercises. Make sure responses taught include independent decision-making based on the knowledge that the staff are provided with. Make sure the training is realistic, yet empowering. Guardian Defense recommends that scenario-based exercises do add a degree of reality, but should never be intended to instill fear. The all-staff training is one of the most vital pieces of your active threat response plan and should be facilitated by experts in the field. Teachers will then go back to their classrooms and begin having age-appropriate conversations with their students and practicing independently with their students in the classrooms. Identify the roles of the safety team members. Schedule and conduct meetings regularly to learn and practice such roles. Now, it is time to run your first drill. Very basic drill with no surprises. Teachers and students should know what to expect before beginning. Utilize drill logs to document successes. Debrief with your staff- ideally in person, but at minimum through email. Now that your first lockdown drill has been completed, put your safety team to the test and conduct your first lockout drill. Create an annual school safety drill schedule, including both announced and unannounced drills. Lockdown drills should be executed on a monthly basis to ensure that teachers and staff are confident and prepared. 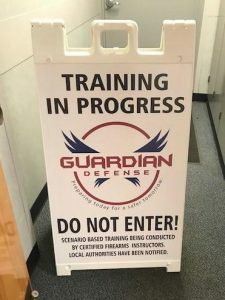 Guardian Defense recommends not moving on to unannounced drills until the staff and students are comfortable with announced and any pending issues or malfunctions have been remedied. If you got this far in your preparations, congratulations! You have done an amazing job! You have now prepared your school the best that you can. Now it’s time to sit back and let a professional assess your campus for security strengths and weaknesses. 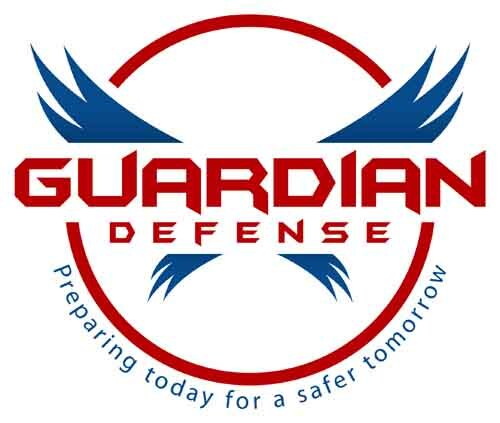 Please note that although Guardian Defense recommends a threat assessment, it is not the most important feature in building an active threat plan for your school. Be sure to develop steps 1-5 before considering a threat assessment. It took a tragedy in 1958 at a school in Chicago where children were trapped by a school fire to initiate change within the school and begin conducting fire drills. Although there were currently adequate fire exits and fire extinguishers in the building, it did not have enough smoke detectors and fire drills were not implemented. 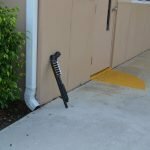 This may not have been the single incident that initiated fire drills, but the point is that fire safety was a work in progress in the school system- beginning with safety upgrades, then progressing to fire safety awareness and drilling. We know that schools can get to this same mindset about active threats as they do for fire. If you are ready to schedule a FREE consultation with one of our safety experts, click here.